If asked to get real specific about my favorite type of music, I guess I would say power pop: songs driven by distinctive guitar riffs with catchy hooks and harmonies, mostly sung by guys about girls. Some of the notable proponents of the genre were bands like The Raspberries, Big Star and Badfinger. Power pop was birthed in the mid-70s and later influenced a lot of new wave bands in the 80s. One of the best power pop bands of all time was a quartet from England called The Records. My first exposure to The Records was live in late 1978 when they briefly opened the Be Stiff Route 78 Tour show at The Bottom Line before serving as the backing band for Rachel Sweet. 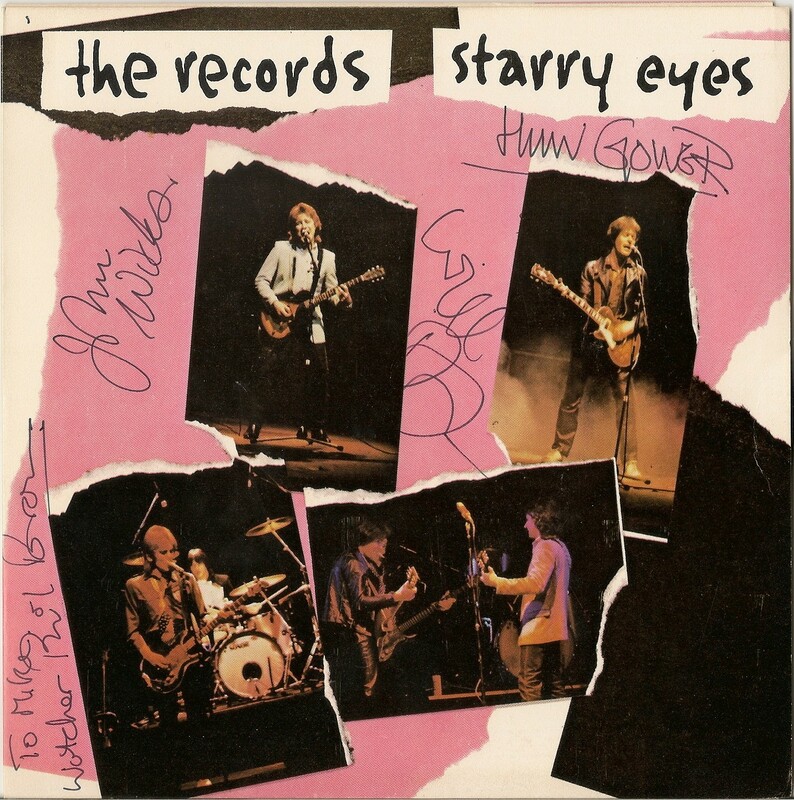 Hearing them play their single “Starry Eyes” cold for the first time nearly knocked me off my seat, and to this day, that song remains at the top of my list of power pop classics. A year later, The Records returned to The Bottom Line for a two-night, four show stand for which yours truly could not resist attending three of the four. The sets were all the same, and fortunately one of them has been forever preserved courtesy of a WNEW-FM live broadcast. While the set focused mainly on songs from their debut record, they did play three new songs including the lovely “Hearts in Her Eyes.” This song, which was later covered by The Searchers, would be the lead track off their sophomore LP as well as another entry into the power pop Hall of Fame. After some personnel changes and a mediocre third LP, The Records disbanded. As for the original members, drummer and songwriter Will Burch for a while ran the successful “Rock Tours” sightseeing bus in London. Today, he is a respected music journalist and author. Guitarist Huw Gower was a member of David Johansen’s band during his MTV days and his current whereabouts are unknown. Lead vocalist and songwriter John Wicks currently resides in Los Angeles where he continues to perform with other musicians keeping The Records’ memory alive. Bassist Phil Brown passed away in 2012. In between sets at The Bottom Line I snuck backstage to get this US single for “Starry Eyes” signed by the band.